Nice and spicy mouth watering. Please try and add your comments. 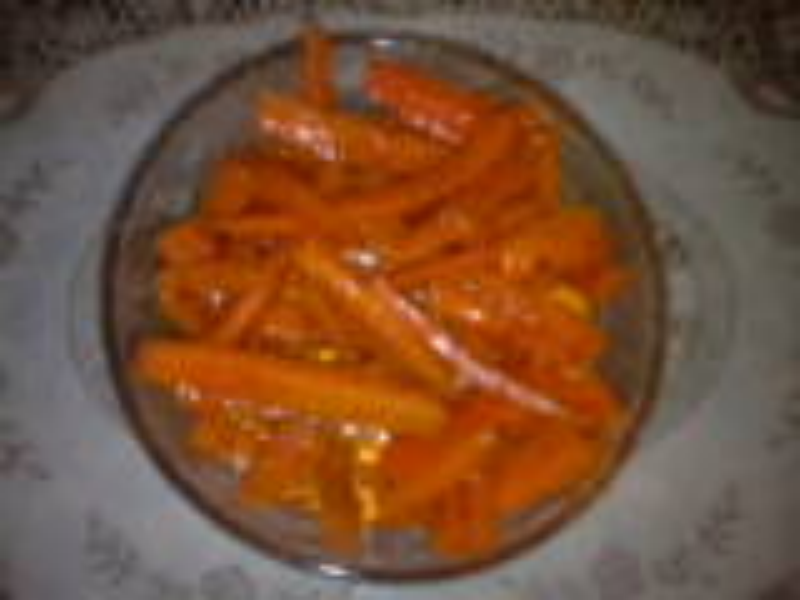 Cut carrot into 3 inch long. Add all the ingredients to carrot and mix well with hand. Keep it in air tight container and leave it for a week in sun. But every day keep shaking the bottle so that the masala can be spread to all the carrots. Still no explanation of what is 'ginger-cloves'! Not worth trying I guess. The recipe sounds good, but what on earth is '4-5 ginger cloves'?